Topography and land use affect soil organic carbon (SOC) storage, stabilization, and turnover, through several biogeochemical processes. 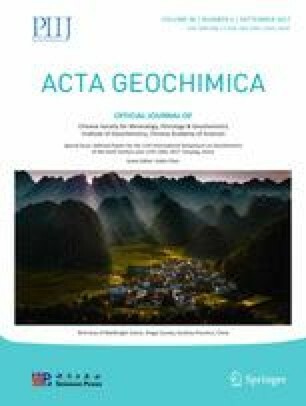 This study investigated the aggregate composition and SOC content of bulk soils and aggregates at different slope positions under different land uses in a typical karst catchment of southwestern China. Our results show that the proportion of macro-aggregates and the SOC content of bulk soils and aggregates at different slope positions decreased from the upper to the lower slope. The SOC content generally increased with an increase in the mean weight diameter and proportion of macro-aggregates under different land uses. Our results indicate that macro-aggregates in forest and grassland soils make a greater contribution to both aggregate composition and SOC content than that in arable land soils. Therefore, converting farmland to forest or grassland can facilitate the accumulation of macro-aggregates as well as the storage of SOC. This work was supported jointly by the National Natural Science Foundation of China (41325010; 41571130042) and the State’s Key Project of Research and Development Plan of China (2016YFA0601002).